Turnover is a top concern for retailers today, and money counters can help ease the stress of this reality. According to Innovative Retail Technologies, a new study conducted by WorkJam found 34 percent of retailers have a quarterly turnover rate of at least 26 percent for hourly staff. Moreover, one-third of retail managers feel this rate has increased over the last two years. Despite heavy levels of fluctuation, retailers must ensure their cash flow and management stays consistent and efficient as staff members enter and leave the scene. Additionally, business owners and managers alike prioritize cost savings, and heavy turnover can lead to heightened hourly wages while new employees are ramping up to their new roles. In fact, BloombergBusiness reported, according to the Center for American Progress, the cost of replacing an employee earning less than $30,000 per year is roughly 16 percent of that individual's annual wage. While training is going to be a perpetual reality in the retail business, leveraging intuitive technology can help ease much of the workload that emerges when new hires join the team. From point-of-sale systems to inventory management software and cash counters, every piece of technology in a retail environment should be easy to use, because turnover will remain consistent. 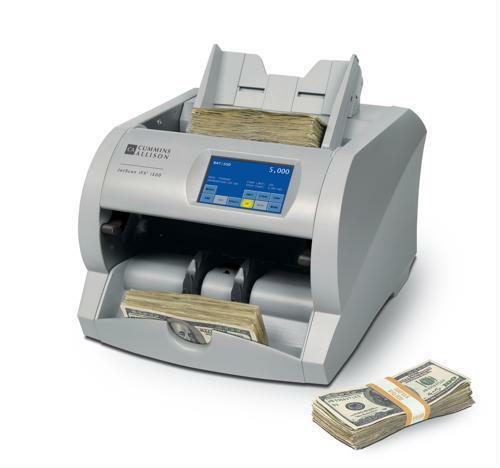 Retailers need cash counters to help them detect counterfeit money, sort and count bills and provide accurate financial reports at the beginning and end of a shift. Fewer paid hours spent on training. A lower level of counting errors from new employees that could be potentially costly.